Our services include anything a homeowner would need for a wooden fence. Locust Grove, McDonough, Milton, Norcross, Smryna and Tucker. Although our services are based in Georgia, we service most areas in the Southeastern United States. Would you like to hear what our customers have to say? Take a look at our reviews and give us a call if you have any questions! We offer Fence Painting and Fence Staining in Tucker. If you live in the Tucker, GA area, please give us a call for a free quote. If you would like a free consultation or are in need of any of these services please give us a call. Our trained estimators are ready to help. Alpharetta, Atlanta, Buford, Decatur, Hampton, Kennesaw, Lawrenceville, Locust Grove, McDonough, Milton, Norcross, Smryna and Tucker. We service Alpharetta and all its surrounding areas. We offer our full product and service offering in the Alpharetta area which includes fence painting in Alpharetta and fence staining in Alpharetta. We can clean your fence and seal your fence if you live in Alpharetta as well. As of 2014, Alpharetta’s population is 58,075 people. Since 2000, it has had a population growth of 30.12 percent. The median home cost in Alpharetta is$302,400. Home appreciation the last year has been 15.20 percent. Compared to the rest of the country, Alpharetta’s cost of living is 27.90% higher than the U.S. average. We service Atlanta and all its surrounding areas. 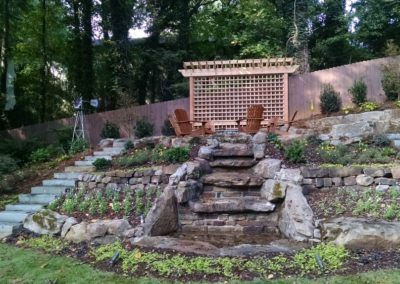 We offer our full product and service offering in the Atlanta area which includes fence painting in Atlanta and fence staining in Atlanta. We can clean your fence and seal your fence if you live in Atlanta as well. 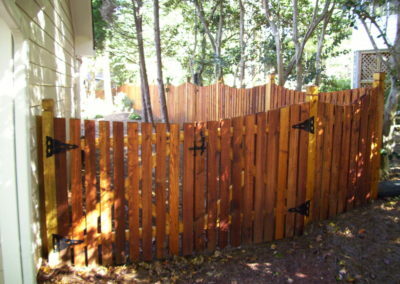 Stain-N-Seal Solution is the premier Atlanta fence painting and fence staining company. Atlanta, the largest city and capital of the state of Georgia. It is situated in the northwest part of the state at the base of the Blue Ridge Mountains near the Chattahoochee River. The first European settler was Hardy Ivy, who built a cabin there in 1833. Read more about Atlanta, Ga including its population, weather, demographics, facts, history, mayor and landmarks at infoplease.com. Abundant, highly motivated, production-oriented labor force. LOCATION: Southeastern United States, north Georgia, Gwinnett County, 25 miles north of Atlanta, on the southern shores of Lake Lanier. TRANSPORTATION: Hartsfield International, Peachtree DeKalb, North Fulton and Gwinnett Airports; Insterstate Highways I-85 and I-985, Buford Highway and Peachtree Industrial Boulevard. Local Bus and MARTA Station provide easy access to Atlanta. EDUCATION: Independent city school system with local control of elementary, middle and high schools. More than 10 major universities within a 50 mile radius. RECREATION: Fishing, boating, swimming, skiing, camping, beach & water park and golf at Lake Lanier Islands and local parks at Lake Lanier; hiking and camping in the north Georgia mountains; major league sports (baseball, basketball, football & hockey), theatre, concerts of all types, symphony, ballet and museums in nearby Atlanta. Buford on their official website. 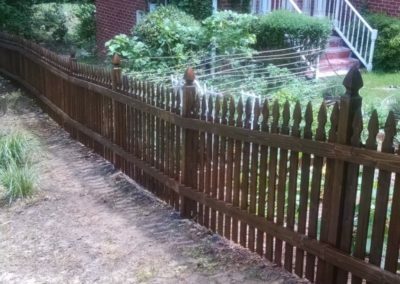 We paint and stain all types of fences in Decatur, GA. Do you live in Decatur? How much do you really know about Decatur, GA? The city of Decatur is four square miles of hometown hipness with 18,000 residents inside Atlanta’s I-285 perimeter highway. Ponce de Leon Avenue is our main street, connecting us to the city of Atlanta, just six miles to the west, and to historic Stone Mountain, just six miles to the east. Aquintessential college town, we have Agnes Scott College, Columbia Theological Seminary within our city limits Branches of the Art Institute of Atlanta and DeVry University bring hundreds of commuting students, faculty and staff to our downtown square. Emory University is close by with a free shuttle carrying students and residents between campus and downtown Decatur. And with more than 200 mostly independent shops, restaurants, galleries, salons and other service businesses, Decatur draws students, office workers, residents and visitors who love to “shop local” in our walkable tree-shaded downtown. Decatur was established in 1823 where two Indian paths crossed at present-day Ponce de Leon and Clairemont avenues. Decatur today remains an important crossroads, with quick MARTA access to downtown Atlanta attractions and Hartsfield-Jackson International Airport. Decatur is a destination in itself for foodies, fashionistas and fun-lovers. They flock here for ourcritically acclaimed restaurants, including Cakes & Ale, Watershed, Leon’s, Twain’s and the Brickstore, that emphasize farm-to-table concepts and hand-crafted beers. Storefront boutiques like Squash Blossom, Boogaloos, Vivid and Rockit specialize in the latest trends with a spotlight on organic, fair trade goods, sustainable materials and local designers. At night, musicians take the stage at Eddie’s Attic where the Indigo Girls, Sugarland, Sean Mullins and John Mayer played in their early days and still drop by for surprise visits. Live music of all genres can be found at numerous other venues in downtown Decatur and Oakhurst Village just to the south. Our tech-friendly downtown with the availability of municipal wi-fi makes it easy to stay connected with the world from a sidewalk café table. Make Decatur your hip hometown away from home — stay here, dine and shop here, and venture forth to top destinations including the Carlos Museum at Emory University, Stone Mountain Park, Fernbank Museum, the SCAD gallery, the Georgia Aquarium, World of Coca-Cola, Atlanta Cyclorama, Wrens Nest House Museum, and more. Many spots are accessible via MARTA or the free Cliff shuttle between Decatur and Emory University. We offer Fence Painting and Fence Staining in Hampton. Let us paint or stain or seal or clean your fence and make all your neighbors jealous. Land area: 8.44 square miles. 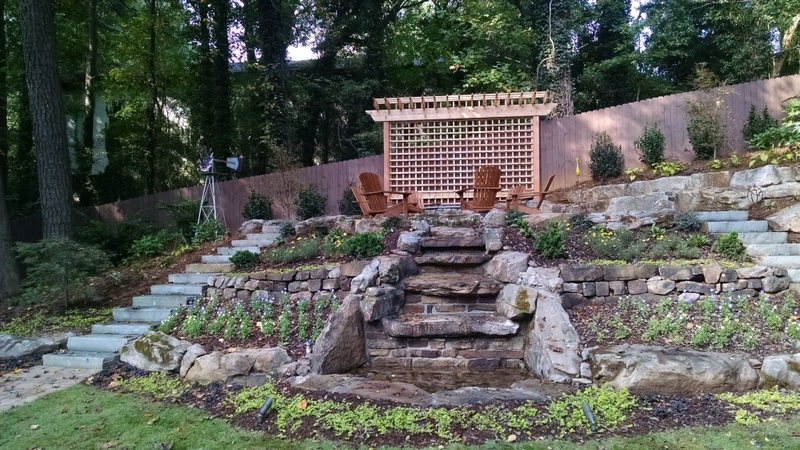 Fence Painting and Fence Staining in Kennesaw, GA in Cobb County. You live in Kennesaw and you need to paint or stain your fence? 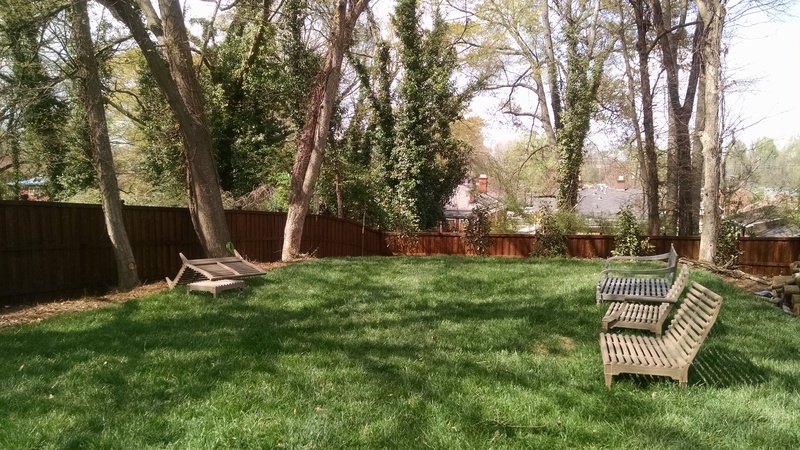 We offer Fence Painting and Fence Staining in Lawrenceville. Let us paint or stain your fence and make all your neighbors jealous. How much do you know about the history of Lawrenceville Georgia? Incorporated on December 15, 1821, exactly three years to the day after the formation of Gwinnett County, Lawrenceville is the county seat and second oldest city in Greater Atlanta. She is named in honor of Captain James Lawrence, the War of 1812 naval commander who gave his crew one of American history’s most memorable fighting orders: “Tell the men to fire faster and not to give up the ship; fight her till she sinks!” Though Commander Lawrence died from battle wounds a few days later, the City of Lawrenceville thrived. From the first hearty stock of settlers who lived off the land, citizens of Lawrenceville have long taken pride in establishing and fashioning a strong, viable community. Chosen because of several nearby springs, Lawrenceville’s original town square remains the heart of downtown. With the inception of the first courthouse, which was built in 1824, and the layout of adjacent property, the farming community took shape and expanded. Locals came to town to buy all sorts of dry goods, or sell produce and livestock. A mixed-use retail and business complex downtown, Honest Alley, commemorates the place where mule buyers and sellers gathered to trade in good faith. Among the greatest challenges in the early days was keeping livestock from trampling the courthouse lawn. Attempting to eradicate the problem, city leaders tried all sorts of materials to erect a fence that could withstand both animal and human tampering. However, fire, not beasts, ruined the original courthouse structure in 1871. The Romanesque-style building that stands in its place was designed by Boston architect E.G. Lin. A small balcony on the front corner, used to summon jurors from the square, is a reminder that this was the official courthouse until the Gwinnett Justice Center’s completion in 1988. Reflected in the city’s expansive revitalization beginning in 2005, Lawrenceville maintains a healthy respect for her past while heartily embracing the future. Among the downtown district’s period buildings and landmarks are the Gwinnett Historic Courthouse, home to the Gwinnett Historical Society and voted among the top 30 places in the country to have a wedding, and the Lawrenceville Female Seminary. With new residences, shopping, dining, and entertainment, including the Aurora Theatre, in proximity, redevelopment initiatives make it possible to live, work and play within walking distance. The 2006 opening of Georgia Gwinnett College—the nation’s first four-year public college created in the 21st Century and Georgia’s first four-year public college established in over 100 years—has further enhanced the appeal of Lawrenceville for students, educators, professionals, and business leaders. The liberal arts institution offers bachelor and associate degrees, as well as graduate programs, in conjunction with the University of Georgia and Georgia Perimeter College. From services to sports—Gwinnett Medical Center, the Gwinnett Justice and Administration Center, Georgia Gwinnett College, Gwinnett Technical College, and the Gwinnett Braves Minor League Baseball—Lawrenceville covers all bases. Click here to learn more about the city of Lawrenceville. We offer Fence Painting and Fence Staining in Locust Grove. You live in McDonough? 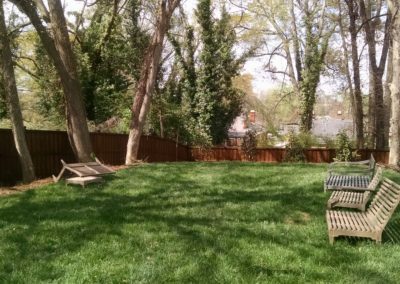 Stain-N-Seal Solution covers the McDonough area and can offer the following services: Fence Painting, Fence Staining, Fence Sealing and Cleaning. Fence Painting and Fence Staining in Milton. 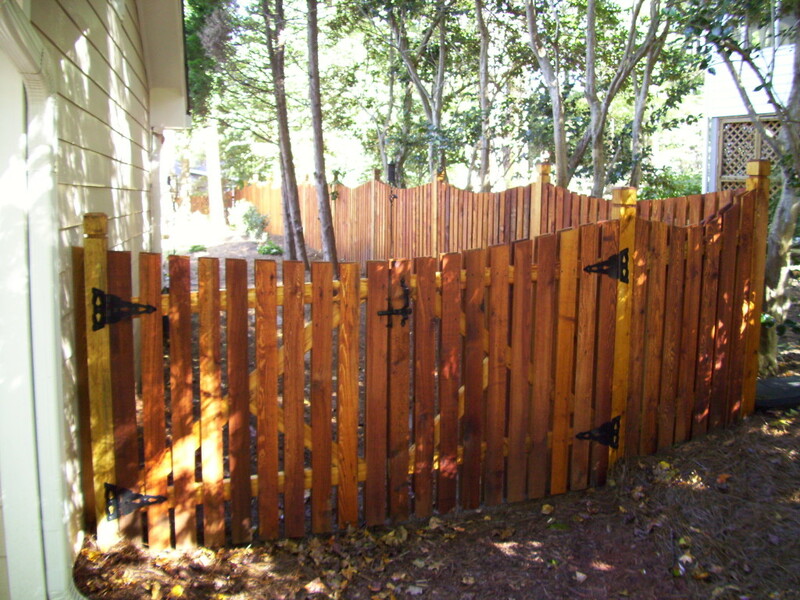 We paint and stain all types of fences in Milton, GA.
You live in Norcross and you need to paint or stain your fence? Named for former Atlanta Mayor Jonathan Norcross, it was chartered as a town on October 26, 1870, and selected to the National Register of Historic Places by the Department of the Interior in the early 1980s, although its rich history began much earlier. The Norcross Historic District sits along the eastern continental divide. This divide, or ridge, played a significant role in the early settlement of the area. Originally, the Creek and Cherokee Indians occupied this land and the ridgeline was used as a major transportation route. Two American forts were established in the early 19th century due to the War of 1812 – Fort Daniel (at Hog Mountain) and Peachtree Fort (in Atlanta). These two forts were connected by this old Indian trail which became known as the original Peachtree Road. By around 1840, this trail had evolved into a stagecoach route connecting South Carolina and Alabama through Georgia. The surrounding area became populated and the small communities of Pinckneyville and Flint Hill prospered. This all changed with the creation of the Richmond-Danville Railroad, designed to open up the wilderness areas of northeast Georgia. The railroad was proposed in 1856 by Jonathan Norcross (a former Atlanta mayor) and was subsequently approved. Construction was delayed, however, until 1866 because of the Civil War. On September 12, 1869, the first twenty miles (32 km) were completed and on October 16, 1889, John J. Thrasher bought the 250 acres (1.0 km2) surrounding the terminal for $1,650 and a town was born – named for Thrasher’s good friend, Jonathan Norcross. The Brunswick Hotel was built in 1870 and Norcross quickly became known as a resort area, much like Eastlake, for Atlantans wanting to escape the rapidly growing city. The new town also meant the demise of the surrounding communities of Pinckneyville and Flint Hill, as people migrated in to build houses, churches, schools, and to be near the railroad. Gwinnett County’s second oldest city, Norcross saw new roads and highways which were later built by-pass the city, preserving its historic center as a 19th-century railroad town. People who visit the city may recognize its charm and small town feel. The city is again on the upswing as new restaurants and shops move into the downtown area and as a new generation of homeowners, business owners, and citizens enter the community. Fence Painting and Fence Staining in Smyrna, GA.
Smyrna is located about 10 miles northwest of Atlanta, Georgia and is considered an integral part of the Metro Atlanta area. Known as the “Jonquil City,” it derives this name from the thousands of jonquils that flourish in gardens and along the streets in early spring. The City of Smyrna was incorporated in 1872 and operates under a form of government with Mayor and Council members representing seven wards. Mayor and Council are elected by the people for four-year terms. The governing body appoints a City Administrator to serve as the City’s chief administrative officer. Over the years, the City of Smyrna – covering approximately 15 sq. miles – has developed into a vital and active member of the regional landscape. The City of Smyrna’s Village Green and Market Village are surrounded by and include 33 acres of parks and green space within one mile of downtown. Within our 15 square miles one may find 304 acres of park and green space. In the downtown area you will find a well-equipped Community Center with two gyms and exercise equipment. You will also find a very healthy pond with even healthier wildlife – giant koi – and lots of trees. Recreation facilities exist throughout the City and park space is available for special events. The 20th Century Veterans Memorial is located in our beautiful and active downtown, adjacent to the only city-owned public library of its kind in Georgia and a new stylish playground. The charm of Smyrna’s downtown is unmistakable. Visit the Success Story section of this website to learn about the Smyrna story. The two largest areas of the downtown are the Village Green and the Market Village, both models of revitalization and redevelopment for other cities. Village Green – This is citizen common ground. This is where the Community Center, the Library and arboretum reside. It is a focal point where people come together. This town center with adjacent private housing, retail and office space, city hall and a public safety facility is a pleasing and accessible area that is inviting and refreshing. Market Village – This phase of downtown development is unmatched in appeal and village atmosphere. The design features 16 townhomes, 40,000 sq ft of retail space and another 18,000 sq ft of office space. Whatever you think you know about mixed-use today, rest assured that if it works, the idea got an early start in Smyrna. The success experience by Smyrna has encouraged others to apply the formula. Whatever you think you know about “Live, Work, Play,” know that it is at its best in Smyrna and it is the Market Village. The Market Village is the heart of downtown – the new social center with restaurants, shops and services. In geographical terms, the City of Smyrna exhibits some excellent physical characteristics. With an average temperature of 61.4 degrees, the climate is very favorable consisting of warm summers and moderate winters. Between these seasons, the Smyrna area is decorated with thousands of jonquils blooming in the spring and a colorful change of leaves in the fall. The general terrain of the area is characteristic of the piedmont region of Georgia. One will find hills with broad ridges, sloping uplands, and relatively narrow valleys. Smyrna – downtown – sits at an altitude of 1,150 feet above sea level with the general area at 800 to 1080 feet above sea level. Smyrna’s climate is seasonal with long, pleasant spring and fall seasons. With visionary leadership and strong community spirit, Smyrna has become one of the most popular places to reside in the metro-Atlanta area. The “small town” atmosphere offered aligns with a progressive approach to city government in Smyrna is the type of lifestyle many seek when deciding where to raise their families. Another important attribute of Smyrna is its location in relationship to major transportation modes. Being a citizen of Smyrna means having ready access to several different methods of conveyance. The City is strategically located near three interstate and intrastate highway systems: I-75, I-20, and I-285. Downtown Atlanta is a 15-minute drive via the interstate and Atlanta’s Hartsfield International Airport is only a 30-minute drive away. In addition, several principal arterial roadways, such as Cobb Parkway (U.S. Highway 41), Atlanta Road and South Cobb Drive (State Highway 280), pass through the municipality. Smyrna will also benefit from the route (and recently completed section) of the East-West Connector road extension through Cobb County. The Cobb Community Transit (CCT) bus system provides public transportation for our residents with links to the Metropolitan Atlanta Rapid Transit Authority (MARTA) rapid-rail network. There are also two major railways that service Smyrna and four airports can be found within an 18-mile radius of the City.